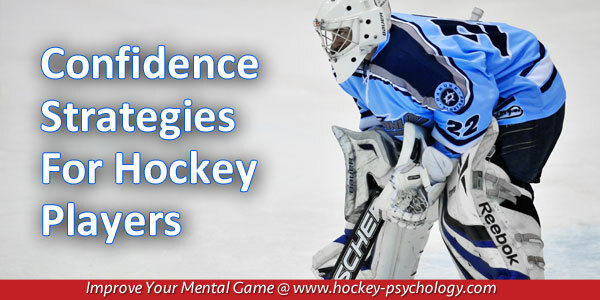 You are here: Home / Hockey Psychology Articles / Hockey Confidence / How Can Hockey Players Improve Confidence? Have you ever muttered these words? 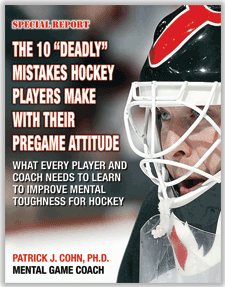 This common sentiment is echoed by many hockey players from youth players to the pros. Gary is a decent player who starts for his youth club team. Gary’s confidence is like riding a roller coaster, one day his confidence is high, while other times, his confidence seems to have disappeared. Gary’s bad games are really bad! In the locker prior to the first period, Gary feels pretty good and ready to go. When your inner critic takes over, it becomes impossible to move forward after a bad play and focus on the task at hand. Your negative critic is no different than the coach that berates his players after every mistake making you feel worthless. 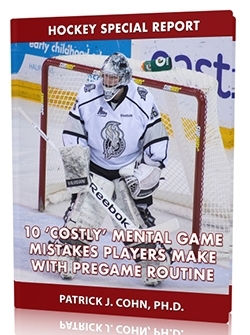 Head coach Clark Donatelli of the AHL Wilkes-Barre/Scranton understands how to foster confidence in his hockey players and the team’s confident play has produced consistent positive results. WBC are ranked first overall in the American Hockey League standings with a record of 22-7-3. Praise his players for the things they do right, don’t beat the dead horse when mistakes occur and be patient when things are not going right. And finally, envision how much better you would play if your confidence level was higher. 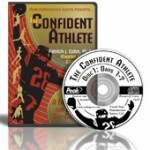 Confidence is under your control so stop reveling in the negative and start rewarding yourself for all the things you do well. After each period or each practice, point out three successes. For example, you made a great save, threaded the needle on a pass, made a goal saving poke check, stayed positive after your pass was intercepted, etc. 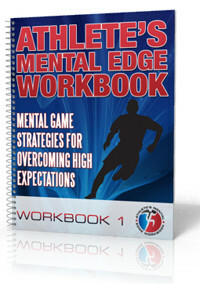 Be aware when you start to engage in negative self-talk, stop and remind yourself to be your own best coach.